I did weigh everything (so easy to throw together! ), but after my first attempt with 7 grams of salt (as per his recipe), I changed my version to ‘a pinch’. Borrowed from Alton Brown’s new book, ‘EveryDayCook’, weigh this all out the evening before, directly into your pot, and leave it on your stove top overnight. In the morning it will literally take 4 minutes to comes together and voilà!, hot breakfast! 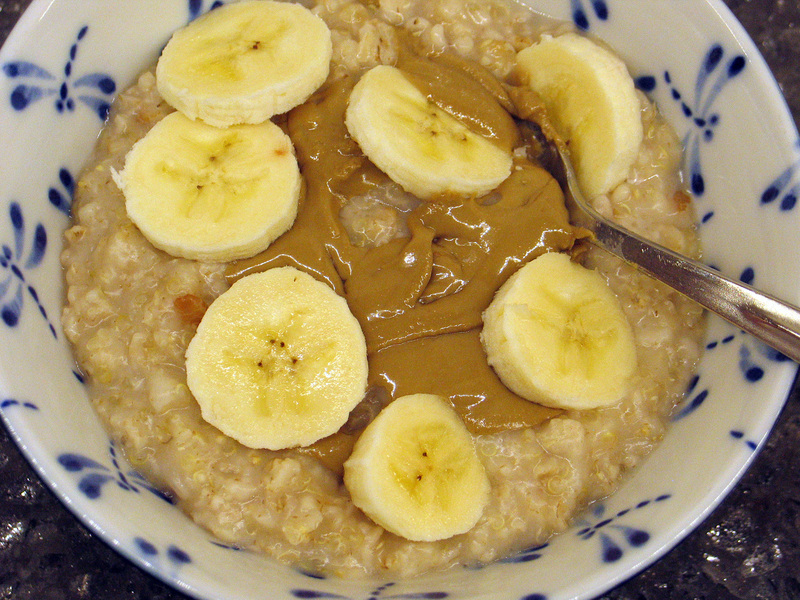 (that everyone forgets is oatmeal because you’ve graced it with Sunbutter and bananas) – enjoy! Combine everything into a medium pot, cover and allow it all to sit overnight. In the morning, bring it to a simmer and cook for a few minutes until your hot breakfast is the consistency you desire. Stirring isn’t necessary as long as it’s on low heat though sometimes I need to add a bit more water. 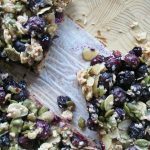 Top with Sunbutter, bananas, yogurt, fruit, maple syrup, nuts or any other tasty goodness that comes to mind and start your day in the best way possible!